Providing the Resources to make Kingdom education accessible is a priority at Cambridge Christian School. Private school education is not inexpensive. Every family uses some amount of their income to monthly or annually make that tuition payment. Students do not always fully understand the sacrifice and investment, but I know one day they will. Students growing up in the 21st century face challenges like no other culture or society has ever faced. They are confronted with the intense battle over truth that attacks their hearts and their minds directly. They are forced to make decisions many of us have never had to make growing up. 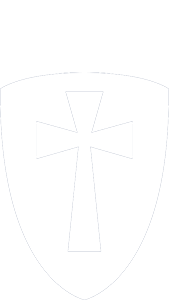 Cambridge Christian School attempts to provide an environment where growth in truth can take place and where preparation for life is an essential task. There is no price tag that can be placed on the value of the training your children will receive through the Biblical approach we use at CCS. The priority God places on each of us to raise our children in a Biblical manner does not remove the sacrifice that is placed on each family’s annual budget. Helping families fund this priority is why we offer tuition assistance. We believe that when you follow God’s already established priority (training our children), He will bless your obedience and stewardship. You can be assured that every family that walks the CCS campus is financially invested, and, out of that obedience, we believe God will bless you and your children. The investment you make in tuition is well worth the outcomes you will experience for your children. of the need-based tuition assistance applications from families. 1. No student is given tuition assistance for academic, fine arts or athletic ability, nor does Cambridge Christian School (CCS) provide merit scholarships of any kind. 2. Tuition assistance is not intended to cover the total cost of tuition and fees. There will always be some level of family contribution. Each qualifying family is responsible for paying above the aid amount. 3. Parents must apply for tuition assistance each year through an online application process that requires tax returns and additional financial documents. 4. Applicants must go through the academic enrollment process first. An applicant’s financial ability is not a factor in the admission decision. Each year approximately 180 families representing 290 students, apply for financial assistance. Generally CCS helps over 75% of those students each year. CCS’s average tuition assistance grant is $3,200. Students are either re-enrolled or have applied, and been accepted and enrolled in order to be considered for tuition assistance. Parents apply for tuition assistance by clicking this link to FACTS, a third party company. Click on it and it will take you directly to the FACTS website to begin the tuition assistance process. The online application should be completed as soon as the family’s tax documents are finalized. Tuition assistance resources decrease rapidly beginning in March. After the FACTS application review, CCS is notified of the amount of qualified need toward the total tuition bill for all students for the family. Tuition assistance decisions are made monthly. The qualifying amount is reviewed, and an assistance amount is determined and communicated to the family. This amount is based upon a combination of factors including: the amount qualified for, the amount of assistance dollars available and when the tuition assistance is filed. Preference is for returning families. Once a family is in the school, chances are, they can count on receiving assistance (if they continue to qualify) each year they are at CCS. Where does CCS get the money to distribute for Tuition Assistance? Funding for tuition assistance is provided by CCS. We follow biblical principles and allow 10% of budget to be allocated to help others (Leviticus 27:32-33) at our school. Donations to the Lancer Legacy Fund are also used to offset the cost of tuition assistance. What if I get the results back, but my family needs more assistance due to other circumstances? Please contact the CCS Business Office to learn more about the appeals process. If I don't get tuition assistance'what are the payment options? Parents or guardians may choose to pay the tuition in full, 2 semester payments or in ten equal monthly payments. 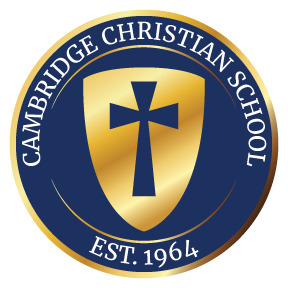 Cambridge Christian School admits students of any race, color, national or ethnic origin to all the rights, privileges, programs and activities generally accorded or made available to students at the school. It does not discriminate on the basis of race, color, national or ethnic origin in administration of its education, employment, admissions policies, tuition assistance, athletic and other school-administered programs.